Bootstrap Compost is one the best residential and commercial food scrap pickup service operations in the Greater Boston area. Listen to some of our satisfied customers below. We donate a portion of our compost to school and community gardening projects. We strive to raise awareness about food waste, composting, food systems and, ultimately, nutrition, through workshops, tours and presentations. Through composting, we are keeping food waste out of landfills. By doing so, we are offsetting harmful GHGs, creating soil amendment for farms, gardens, schools and households throughout Greater Boston. See our stats here. "People are creating viable small businesses with incredibly low overheads, a sense of mission, and a rough and ready approach to marketing and branding." "Urban dwellers in Massachusetts can compost without the dirty work - producing nutrient-rich material that can be added to the soil"
"No one can argue that doing something positive for the environment isn’t a good thing. It’s just a win, win, win." "How gratifying to think that from one’s composted banana peels, coffee grounds, and eggshells, nutrient-rich soil is generated." "The average American family produces about 500 pounds of food waste a year, but only 2 to 3 percent of those families compost"
"It makes (customers) feel good and lets them live their values." 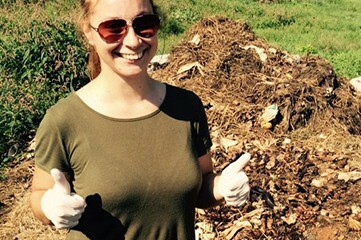 "They pride themselves on their policy of educating the community on the value of composting in addition to providing a service." 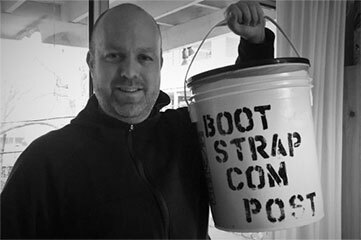 "Bootstrap has found its niche serving the growing number of city-dwellers who want to collect compost but have nowhere to dispose of it." "People recognize there are a lot of resources going into growing our food. 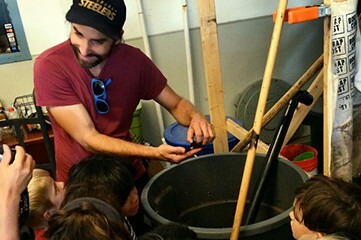 To compost what you don't finish is a good way to honor those resources." "Bootstrapping - it's this idea that nobody is going to hep me out but myself. It's also about lifting up the entire community because we're all doing our part." "Composting - the fine, filthy art of turning food scraps into nutrient-rich soil - is having a bit of a moment." "It's easy being green with a subscription to Bootstrap Compost, a Boston-based service that's diverted nearly two million pounds of waste from landfills"